(4:03 p.m. BST) -- Sixthman, the company responsible for organising numerous successful theme cruises for the North American market, is coming to the UK next summer with a music sailing featuring Belle & Sebastian. 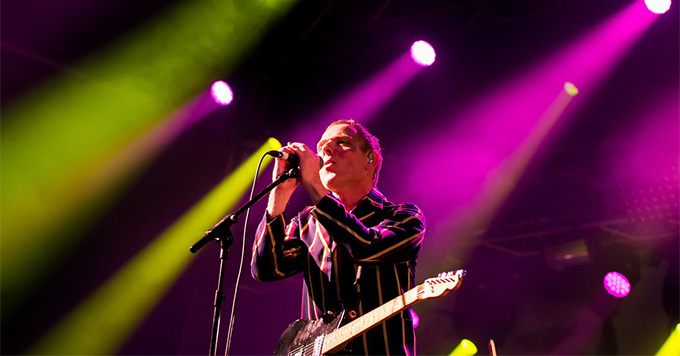 Dubbed the 'Boaty Weekender', the four-night voyage -- August 8 - 12, 2019 on Norwegian Jade from Barcelona to Sardinia -- will include Q&A sessions with Belle & Sebastian, as well as performances by the band and supporting acts that have not yet been announced. Other activities included panels, themed parties, group activities and opportunities to purchase merchandise, as well as extras (think a special, exclusive B & S performance and keepsake vinyl) for the first 350 passengers to book cabins. In the US, Sixthman has put together popular sailings, such as the Walker Stalker Cruise, affiliated with Walker Stalker Con, which celebrates all things 'The Walking Dead'; the KISS Kruise, featuring the likes of Gene Simmons and his oversized tongue; and Kid Rock's 'Chillin' the Most' sailings, which have proven so popular that the offering is now in its eighth year. Sixthman might be the biggest festival organiser to hit the European cruise market, but it isn't the first. The Anchored Cruise, which debuted in 2017, is about to hold its second annual voyage (June 7 - 12, 2018) for lovers of dancing, drinking and barely-there swimwear, and a slew of other themed music sailings has been on the horizon for a while, including a few celebrating the 80s and 90s. According to the Sixthman website, the company plans to expand its European repertoire, so stay tuned.